Facing average track takeouts of 21%, Horseplayers need some sort of relief when it comes to other costs associated with betting horses. If you look hard enough, you can actually find free information on the internet. OK, it isn't as plentiful as the free information for the four major sports (you know, the kind of information needed to bet on sports games, even though betting on sports is illegal mostly everywhere). Equibase has quite a bit of free stuff. Entries, Full Result Charts, Historical Full Charts, Free Stats for Horses, Trainers, Owners, and Jockeys, today's scratches and changes, and more. When it comes to free past performances, check out Whobet . 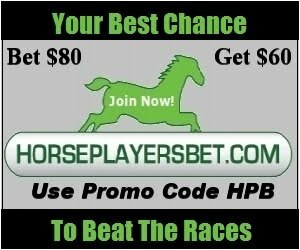 Not all the races, and it is more painful to search than having your own paid for online form, but if you are casually playing and don't want any past performance expenses, this site provides a solution. Do you want to know track takeout information? Check out HANA's takeout ratings. Alternatively, you can check out track takeout maps for most US and Canadian racetracks involved in thoroughbred and harness racing. Equidaily has a handy link when it comes to finding the weather report for thoroughbred racetracks. On the harness racing side. Almost all Canadian tracks have free past performances available at their websites. For example, Woodbine/Mohawk, Flamboro Downs, Fraser Downs, and Western Fair District (which also provides a live feed on their site). When it comes to free past performances for US harness racing, free enhanced TrackMaster past performances are available for select betting sequences at the USTA Strategic Wagering site. For harness racing entries and results, USTA Racing and Standardbred Canada monopolize. Most thoroughbred tracks have free handicapping selections for their ovals. A few examples: Hawthorne,Tampa Bay Downs, Aqueduct, and Woodbine offer expert picks (Woodbine really offers a lot). I'll stop short at news sites, but Paulick Report is my favorite. Finally, for carryover information, check out Today's Carryovers.